Kazakhstan generates nearly two thirds of Central Asia’s economic output. Its favorable position also as Europe’s most important trading partner in the region is based on a thriving oil and gas industry – Kazakhstan ranks among the Top 20 of global oil exporters. While this leaves the country highly susceptible to external shocks, for instance, to a rapid drop in oil prices, the domestic politics of the post-Soviet state have been stable and characterized by the rule of President Nursultan Nazarbayev for nearly three decades. Hence, the question of succession is of particular importance. 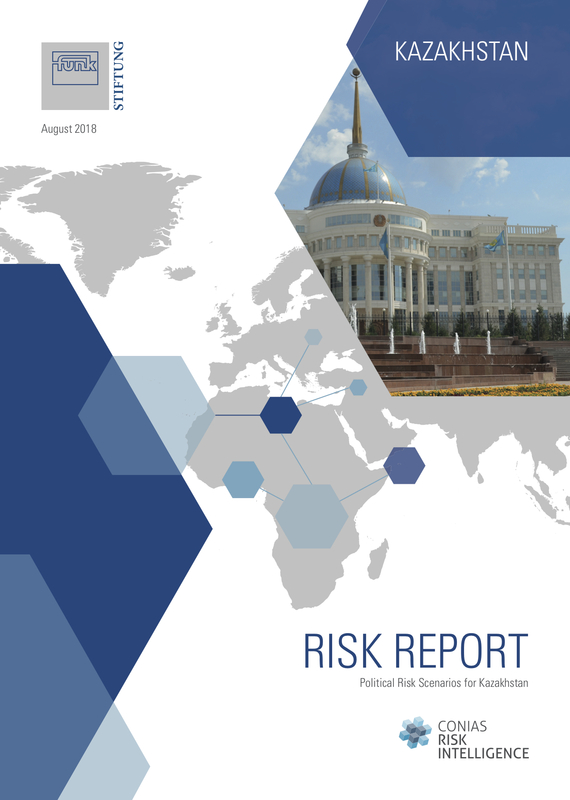 Despite several reform initiatives, Kazakhstan’s political system remains highly autocratic and inhibits little resilience against the looming resource course also known as „Dutch Disease“. You enjoyed reading our report yet feel that it raised much more questions? You have a specific concern in mind that hasn’t been addressed yet? You would like to have a more in-depth exchange with our country experts on their scenarios and further specify recommendations for actions? Contact us today and benefit from the expertise and many years of international consulting experience of our team and our partners.